Sergio Garcia and TaylorMade Golf have announced an “amicable divorce”, which may have been driven more by TaylorMade’s recent split from adidas than anything else. Equipment manufacturers can only support so many elite players and perhaps TaylorMade’s new owners need or want to cut some costs. The bottom line is this: do golfers actually care what equipment is used by PGA Tour players and how much do you think it impacts their buying decisions? Jim Deeks, Fairways Magazine (@jimdeeks): I think few golfers would say they give a hoot, or pay attention to who plays what… but there’s no question that player endorsements work, or the manufacturers wouldn’t pay the outrageous sums they do to sign them up. Back in the day, Wilson was probably the most successful golf company (followed by Spalding and McGregor) in North America, in part because they had so many of the top Tour players hitting their clubs and sporting their distinctive red-and-white bags. Eventually, Wilson, Spalding and MacGregor faded into near or total oblivion, in part because they were outbid for top players by TaylorMade, Callaway and Nike in particular. (Other than Tiger, Nike never had a big line-up of players using their equipment, and their equipment was never considered as good as the other guys’… hence, their recent exit from the biz.) I don’t think the “loss” of Sergio will matter one iota to TaylorMade’s revenue or bottom line, but if they cut back too much on their endorsement line-up, the results will eventually show. TJ Rule, Golf Away Tours (@GolfAwayTJ): I used to think it didn’t affect purchases at all, but now I’m not so sure. The first time I really noticed it was when Taylor Made came out with the white driver, because it was so obvious, and it seemed like everyone went out to but the newest TM model. However, I do think that the new owners are going to cut back on their marketing dollars, as they seem to spend a crazy amount more than their rivals. Dave Kaplan, Freelance Writer (@davykap): I don’t know why the average golfer would care about which clubs the top players in the world are using when so many of the top ranked golfers use different brands. In the Top 10 of the OWGR alone, there are four different club manufacturers represented [Titleist (x4), TaylorMade (x4), Callaway (x1) and Srixon(x1)]. Plus, the average golfer’s swing in no way resembles the swing of a professional. Why should an amateur who struggles with his ball striking care that Spieth uses Titleist AP2s or that Matusyama uses Srixon blades? That information doesn’t help them at all! The average amateur golfer should consider his/her own swing when considering which set of golf clubs to buy. Would they benefit from blades or cavities, or a mix of both? Do they need clubs with a wide or a thin sole … or a thin/thick top line? These are the types of questions amateurs should be mulling over when buying equipment — not what irons DJ plays. Hal Quinn, Freelance Writer, Vancouver: After thumbing through my late-father’s taped together Power Golf paperback for the 100th time, bought a full set of Hogan Apex irons and woods (persimmon). And I switched to Tour Edition balls when the best driver in the game’s history, Greg Norman, switched. (Even I could spin those beauties). After that, nada. In all the intervening years, I haven’t and haven’t known or met anyone who bought as much as a shirt because of an endorsee. Only non-golfers or golf newbies are impacted, so in the main, it’s money badly spent. Peter Mumford, Fairways Magazine (@FairwaysMag): Each year at the PGA Merchandise Show, there are a handful of new equipment companies that burst on the scene promising improved performance. Some of them have great products but until they can convince PGA Tour players to use them, they’re not getting any traction in the market. Endorsement money buys credibility for the established equipment manufacturers, especially when large numbers of players are using their products and winning. There’s not necessarily a direct line between Sergio’s driver and my purchase but it helps to know that the best players are using the same club. Would I switch because Sergio switched brands? No, but good luck Sergio! 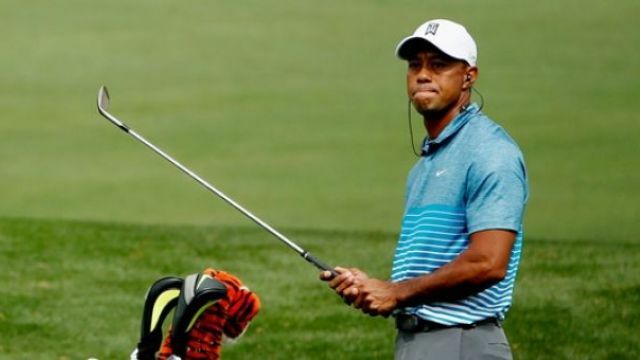 Tiger Woods has sent out video that shows him hitting full iron shots with hints that a return to play on the PGA Tour is still a possibility. Let’s suppose he is able to come back and play at a level that is 80 or 90% of the old Tiger. Is that good enough to win and are today’s top players going to be intimidated by him? Deeks: Maybe and no. I’d hate to see a less-than-perfect Tiger try to make a comeback, though… like an old slugger coming out of retirement because he thinks he can still hit 40 homers as a DH. Tiger’s legacy is truly legendary… it would diminish if he tried yet again, only to soil the memory, and risk becoming a laughing stock to the younger players (many of whom were barely born when Tiger turned pro). Rule: I don’t think that his 90% game is good enough anymore. There are just too many guys who are hungry and the gap between the top 50 let alone top 10 players in the world is so minute, guys have to play their best to sniff victories these days. As I’ve always said, I hope he somehow comes back and competes, but it’s looking less and less likely. Kaplan: LOL! That is never going to happen. The guy hasn’t put four strong rounds together in a single tournament since 2013! So, don’t get your hopes up … That being said, if Woods does somehow rediscover both his groove and the flexibility of his youth — and begins playing at a slightly diminished level relative to his old dominant self (let’s say the 1997-2009 era) — then the rest of the tour had better watch out. This is one of the greatest golfers in the history of the game that we are talking about here … not some flash in the pan! Quinn: I look forward to Eldrick’s self-promoting (deluding?) updates as much as I do the latest petulant tweet from the Moron in Chief. Eldrick could not beat Brandon Steele head-to-head at the Grocery Store Promo Classic, or whatever it was the Tour staged last week. Turn off the selfie machine, the party’s over. Mumford: I have always maintained that a healthy Tiger could contend again but he’ll also have to overcome his own stubbornness, something that held him back for much of his later career. Tiger always wanted to dominate and that meant being the longest. In fact he was a terrible driver of the golf ball and if he comes back, his 40+ body isn’t going to be able to compete with the young guys on Tour. Tiger was arguably mentally tougher than everybody and can still use that to win – but not if he’s playing out of the trees. The revamped Tiger will have to find a way to beat the young guys strategically cuz he won’t be able to overpower them. On the weekend at the Alfred Dunhill Links Championship, several players went very low at the Old Course, including Ross Fisher whose 61 established a new course record. It’s another wake-up call for the governing bodies to do something more about controlling distance but will they do anything about it or is it too late? Deeks: It’s unfortunate, but modern equipment (especially the ball) is separating the professionals from the amateurs to a greater and greater degree. Does that mean we should build or refurbish new, longer and tougher courses to “tame” the pro’s, while demoralizing the amateurs? I think not. I think we should just accept the fact that pro’s are going to shoot lower and lower scores, and live with it. Most other sports have adapted and accepted better performance, partly brought on by better equipment (except baseball, interestingly, where batting averages are lower and ERAs higher, respectively, than they were when I was kid). So, good for Ross Fisher, who beat MY Old Course record by 28 shots. Rule: The Old Course is unique in that you can’t really add much more length to it, they’ve already added as much as they can. And when the wind doesn’t blow, it’s an easy golf course. But that course is meant to be protected by the elements, I don’t see an issue with guys taking advantage of great weather conditions and lighting up a course. It’s still fun to watch a tournament on that course! Kaplan: I don’t think it’s too late. They can easily bifurcate the distances of these golf courses by mandating yardage-reducing golf balls. Bifurcation seem like a no-brainer to me and I’m truly shocked that it hasn’t been implemented already. What are they waiting for? Someone to shoot a round of 18-under par? Quinn: It was startling, though great fun to watch with the lovingly framed aerial shots of the links and announcers with insight and humour, except of course for the token Yankee, terminally boring Mike Ritz. And Fisher blew a three-footer for 60! It may well have been a plaintive plea for mercy from the Old Course, but nothing will be done. Mumford: Course records are falling on a regular basis so a 61 at the Old Course should be no surprise, especially on a soft course when the wind didn’t blow. The fact that a few of the best players in the world can go really low with modern equipment shouldn’t cause a panic attack resulting in bifurcation, dramatic course changes or equipment modification. As far as I know, none of my friends are scoring any better with the new clubs than they did with the old ones and course records are safe from their challenges. Occasional birdie fests by the pros are fine. They give the rest of us hope.